©2019 Hootsuite Media Inc. All Rights Reserved. and grow your brand on social media. 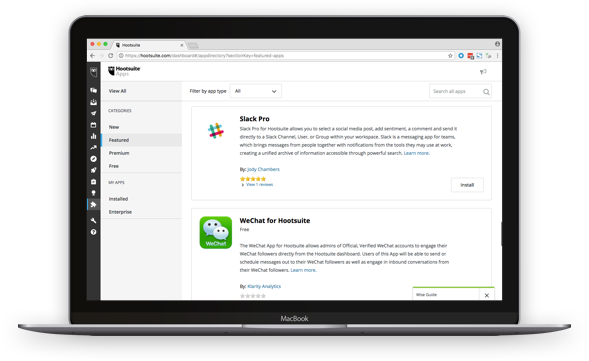 Spend less time posting and more time doing what you need to do with Hootsuite. Automatically schedule all your posts at once, across all social channels, in one place. Keep your social presence active, even when you’re not. Build important relationships by quickly replying, engaging, tracking, and listening to what people are saying about your business. 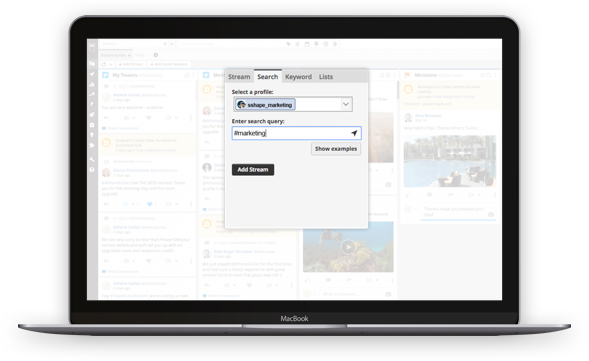 Set up custom streams to organize content, filter threads by keyword, location, and hashtag, and capture more conversations with a wide selection of monitoring apps. Track, understand, and improve your social performance. 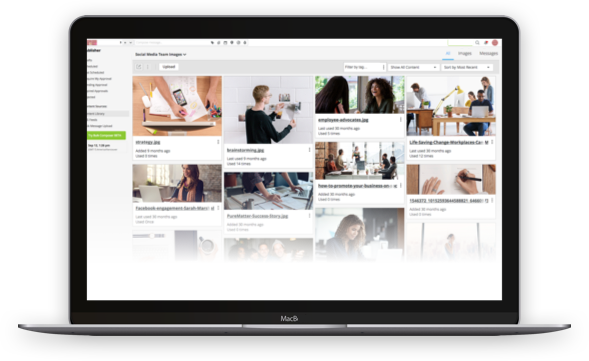 Get comprehensive and real-time reports on how your social channels and campaigns are performing. 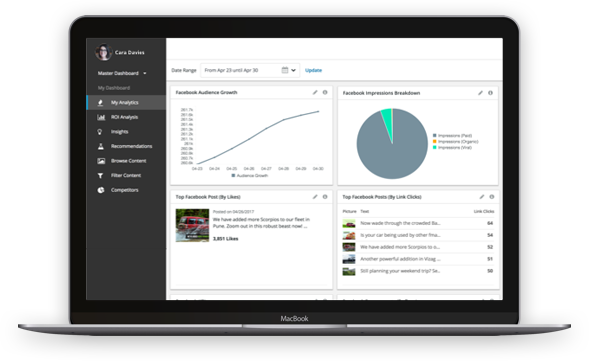 Broken down by channels, paid, and own media, our analytics offer clear insights with no set up required. 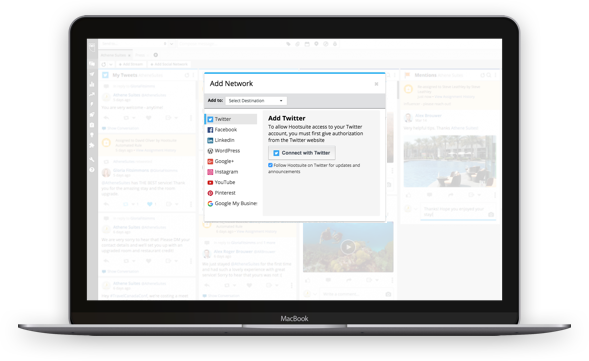 Save time and headaches by managing multiple social networks in one platform. With powerful team features you can be confident that your social channels are managed securely and efficiently. Stay ahead of the social game and help your teams work better together with long-standing partnerships with leading companies such as Facebook and Microsoft. Connect your existing technology and discover new tools, with over 250 apps available in our directory, all designed to connect the power of social media to your business.